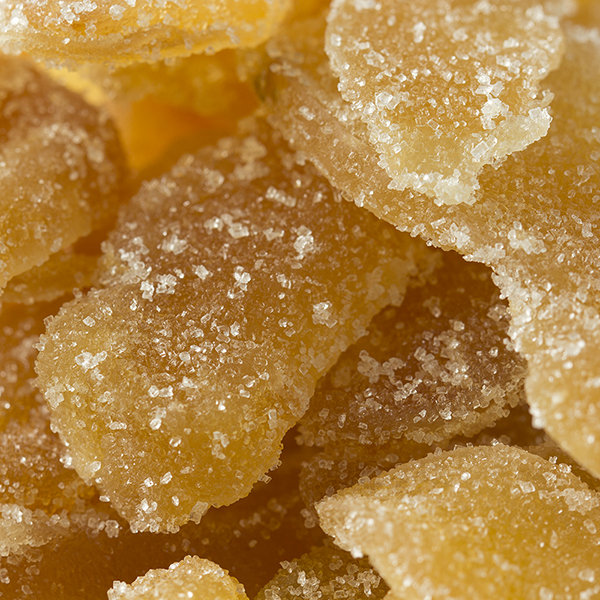 Crystallized ginger or candied ginger is both spicy and sweet at the same time, low in sugar, and is used as a snack or as an ingredient for baking and confections. It originates from the ginger plant, which is indigenous to China, and the spice itself is one of the most popular "hot-tasting" spices. 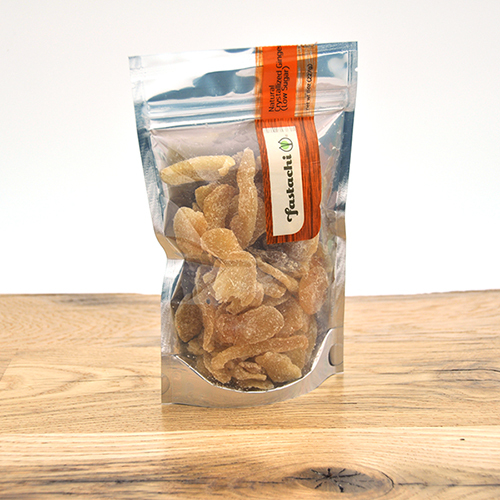 You can eat this unsulphured crystallized ginger as-is, or enjoy it in a cup of tea. Adding the product to tea lessens the full-bodied taste but maintains all the benefits of solidified ginger. Ginger, including candied ginger, is most commonly used as an effective treatment for nausea and aiding in digestion. NUTRITION FACTS: Serv. Size: about 1oz (28g). About 4 pieces. 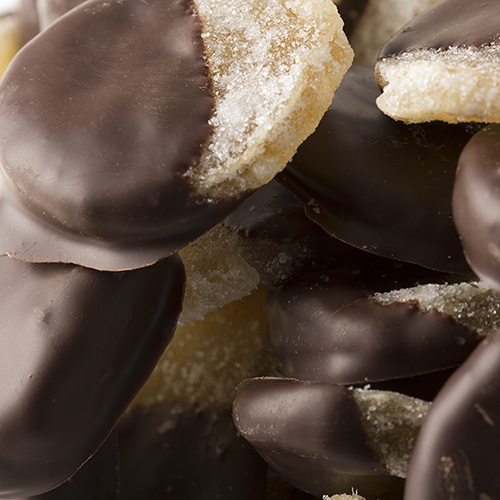 Amount Per Serving: Calories 100, Fat Cal. 0, Total Fat 0g (0% DV), Sat. Fat 0g (0% DV), Trans Fat 0g, Cholest. 0mg (0% DV), Sodium 0mg (0% DV), Total Carb. 22g (8% DV), Fiber 0g (0% DV), Sugars 21g, Protein 0g, Calcium (6% DV), Iron (35% DV), Vitamin C (20% DV). Not a significant source of Cholest., Fiber, Protein, Vitamin A. Percent Daily Values (DV) are based on a 2,000 calorie diet. I keep reordering this ginger. I believe that says it all.